Is this a poor shape for a mash tun? 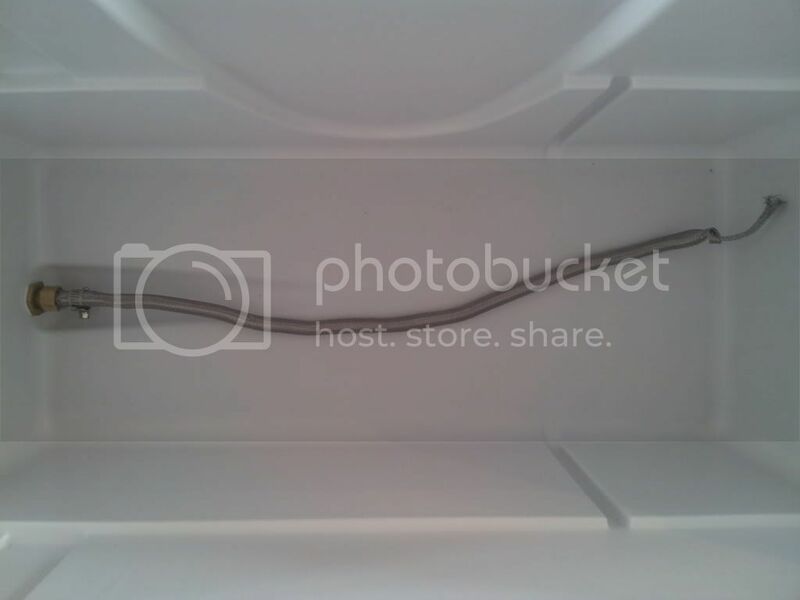 Re: Is this a poor shape for a mash tun? it worked very well. the only thing i may do different next time is put a tube in with a separate valve. it was kind of hard to direct the flow into the kettle through the spigot without splashing on the side of the cabinets. (which are white) fortunately i got it cleaned up before swmbo saw. A wise man once said, "If you find that you are digging yourself into a hole, the important thing is to stop digging." The multiple problems you are having with the 5 gallon round igloo will likely persist with the 10 gallon round igloo regardless of the manifold you use (braid, bazooka screen, PVC or copper pipe, Phalse Bottom, etc.). Trust me, I've used the 10 gallon round cooler and have made the switch to the rectangular cooler. I've "stopped digging." I'm not going back to the Igloo cooler--it is enjoying its second life as a cooler for water and lemonade at picnics and dispensing gatorade in the dugout at baseball games. The Igloo cooler is very good for that. The problem comes from grain bed compaction. The round igloos are only 12 inches wide max while 18-24 inches tall. There would be a lot less compaction of the grain bed if your cooler were 18-24 inches wide and the grain bed were only 8-12 inches high--like a rectangular cooler. Cut your losses--don't buy a larger round cooler just because of the false bottom you have. 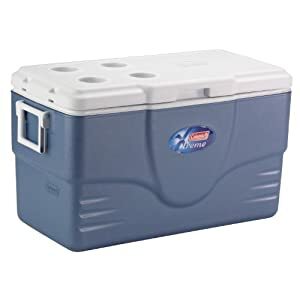 Get a good 82 qt (20.5 gallon) rectangular Coleman cooler (or bigger) that is "self-draining", i.e., spigot is very low in the cooler and has no hump. and buy or make a manifold. I do agree that a rectangular cooler of around 20 gallons would be the way to go-easy 10 gallon batches and big beers. However, I disagree with the analysis of the round cooler. 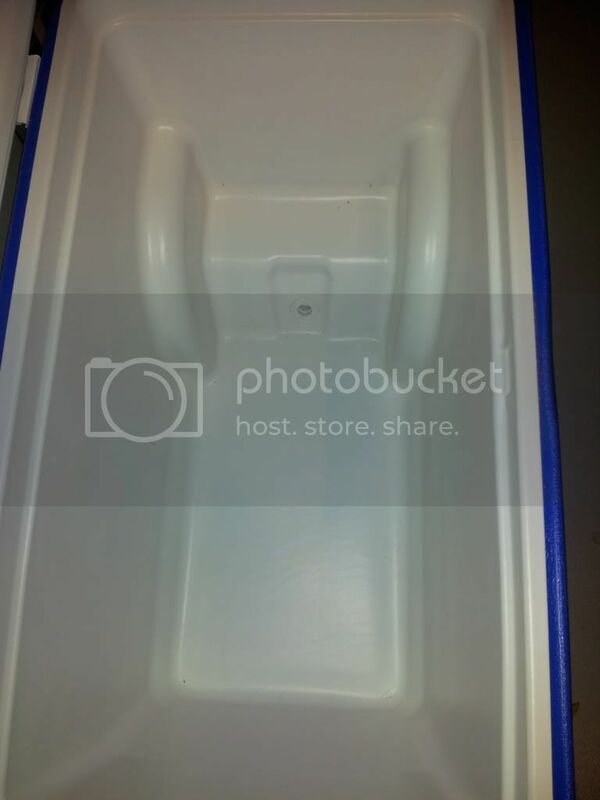 Mine is rubbermaid and is almost 13 inches wide, it is 18 inches tall and 10 gallons. At 15 pounds of grain and 6 gallons of water it hits the 8 gallon mark with the 4 gallons I collected from this the grain bed went to the 4 gallon mark. This is just under 8 inches deep which includes the domed false bottom. This grain bed depth has never given me a flow/compaction issue. This is certainly a deeper grain bed than a wider/longer rectangular 20 gallon cooler would provide. But it has never given me any problems and I have no complaints other than I wish it could hold more. It is a small-medium beer 10 gallon batch maker at best. My next purchase will be a 20 gallon(at least but probably 25 gallon) rectangular cooler but I will cotinue to enjoy my round 10 gallon one as well. But most important is that the size of the cooler needs to related to the batch sizes of your beer. Holding temperature and a deep enough grain bed for efficient rinsing/filtering are important. It is a small-medium beer 10 gallon batch maker at best. Have you tried high-gravity brewing with the 10 gallon round Rubbermaid cooler? If your goal is 10 gallon batches with OG's >1.080, then you're talking 25 lbs or more of grain in a 10 gallon cooler. Then you will have the problems I'm talking about. In the final analysis, I don't want my equipment restricting my options when it comes to the styles and recipes I brew. A large rectangular mash tun allows me to do step infusions, stir, and lauter quickly all types of beer styles from small to large gravities, including those with significant % of wheat. A round cooler does not. Yeah, I call it doing 2 mashes I don't recommend it for more than even 20 lbs of grain as efficiency takes a good dive for me. When I bought it I thought great for 5 gallons and can do 10 if I want in future. Silly me. But yeah limited types of ten gallons for sure. I have a 15 gallon stainless that I currently use for bigger beers >1.08 but want that 104 qt big boy rectangular cooler, love the simplicity. Wouldn't that hump cause a large patch a dead space that wouldn't get a lot of water rinsed through it? It IS blue at least. I see no problem at all, just find a piece of stainless plate or food grade plastic (cutting board) to displace the dead space in the bottom, just set it in, if you want to really get trick put a chill plate in it instead to displace the area and set it up to recirculate hot water through the plate and you can use it as a RIMS unit.. I would say this would work pretty good if you used a false bottom in the mashtun. also, if you use a manifold, try and just set the pipes on the bottom and use a piece of flex from the manifold inside and run it up and out the drain on the mashtun then down to the kettle which is usually lower than mash on these types of systems and gravity will take over..
Actually I just bought a 70qt cooler yesterday. I've got my ball valve from my old mash tun installed and I'm going to pick up a SS braid today. I'd recommend you cut that braid in half. It will work just as well and be a lot more manageable. OK. So basically the braid mainly filters at the exit point, right? Correct. It's porous...it's not like the wort enters then flows down it.